An appreciation of wellbeing led Deborah Don to a journey of discovery. Her experiences and the findings that evolved have, for the past 20 years, helped turn people’s lives around. Deborah is highly trained and extremely skilled in various arts of healing, as well as in successfully restoring health and wellbeing whether related to mental, emotional, spiritual or physical challenges or to the facilitation of post surgical recuperation. Enthusiasm and the will to encourage people to take care of their bodies radiates from Deborah who has specialised in the detox process, and in self-esteem counselling. She is also accomplished at Swedish and aromatherapy massages; head and foot massages; energy balancing and shiatsu; mud therapy; salt scrubbing and seaweed therapy. To be rated by Ann Gallant, the owner of an international school of beauty, as one of “the top 10 students I have taught” is a noteworthy and significant accolade. 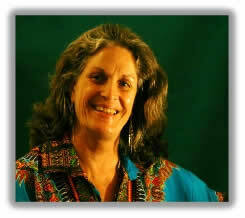 Deborah left the world of professional cooking and trained as an alternative health therapist. With the understanding that we are more than physical beings, she trained in several different disciplines which gave her the balance and the ability to heal on different levels. Her studies included ancient massage therapies, spiritual healing, energy balancing, self-esteem counselling and how to use the plants around us. “I have instinctively known that the truth is simple and this has been borne out through the many lessons I have learnt on my journey,” adds Deborah from her rooms in Crossways Health Centre, Hilton, KwaZulu-Natal.